The lovely people at Rose & Grey got in touch recently, to ask if I’d like the chance to style some of their beautiful antique style display frames. 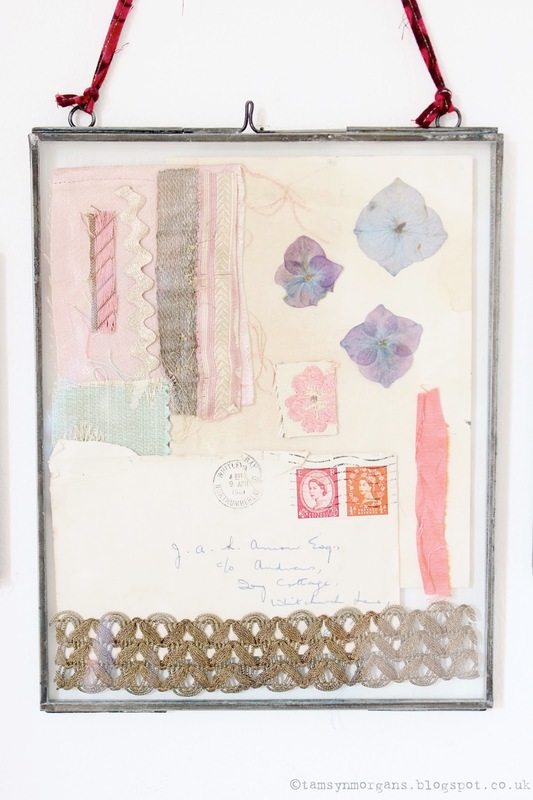 These frames have been on my wish list for a while now, so I was really excited about having the chance to play around with some fabric scraps and paper ephemera to come up with a display that reflects Autumn in some way. 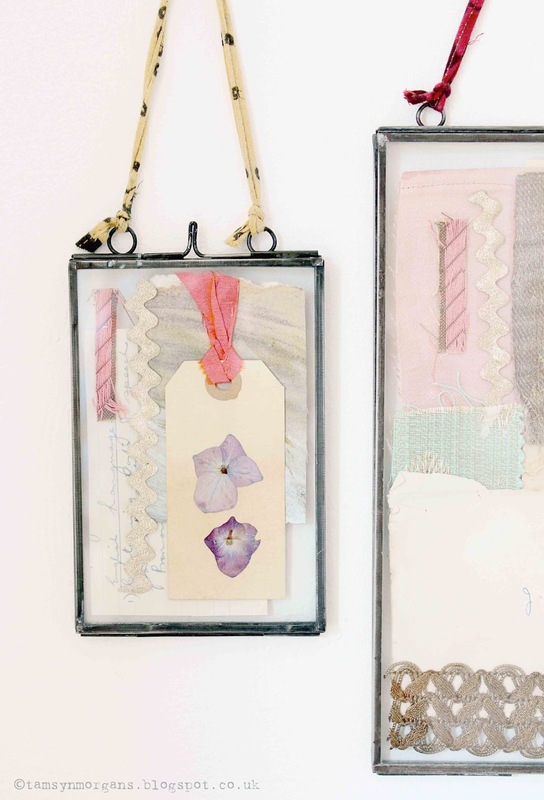 I decided to use colour for my autumnal vibe – inspired by the ribbon that the frames hang from, I used rich jewel hues, as well as dusky gold. I went rummaging through my craft boxes, and found vintage pieces of sari fabric, and vintage gold braids from an old lampshade. 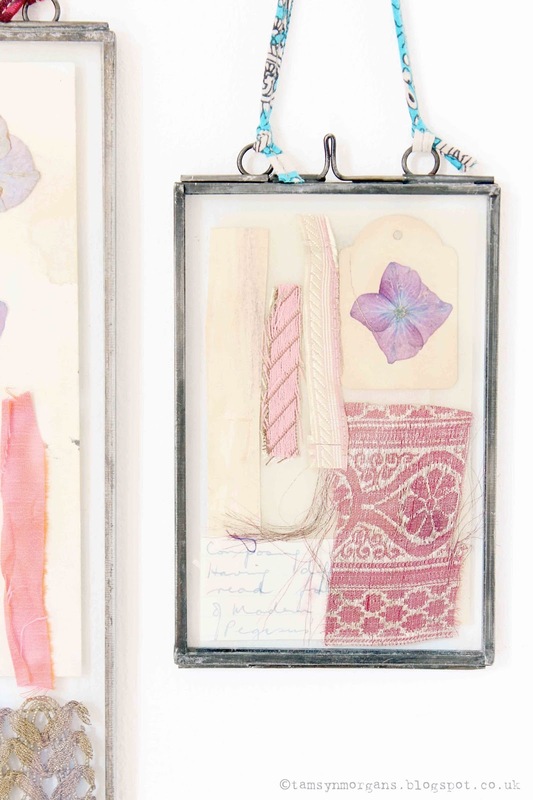 Pressed hydrangea petals from the garden always signify autumn to me, so I decorated tea stained luggage labels with them, and snipped sections from old handwritten note books. 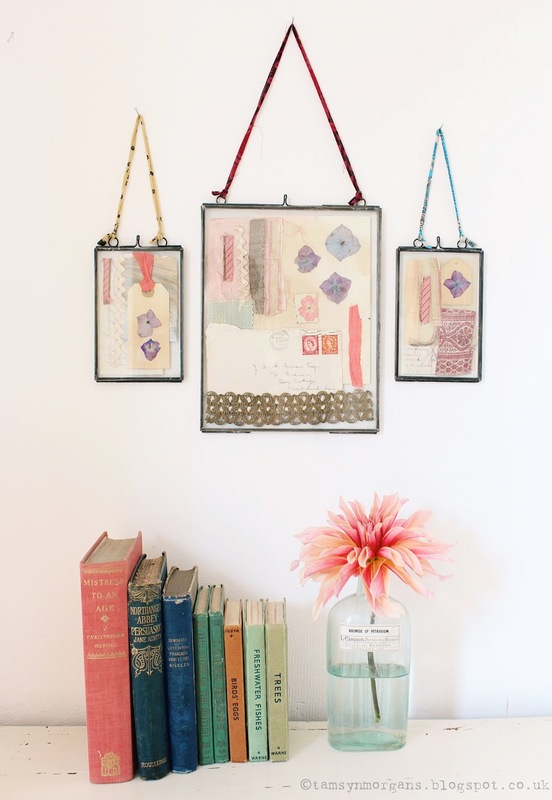 Of course you don’t have to get quite as arty and crafty as I did with these frames – I think they look just as beautiful when displaying a simple photograph or a memento from a special day – a wedding invitation or a treasured piece of embroidery. 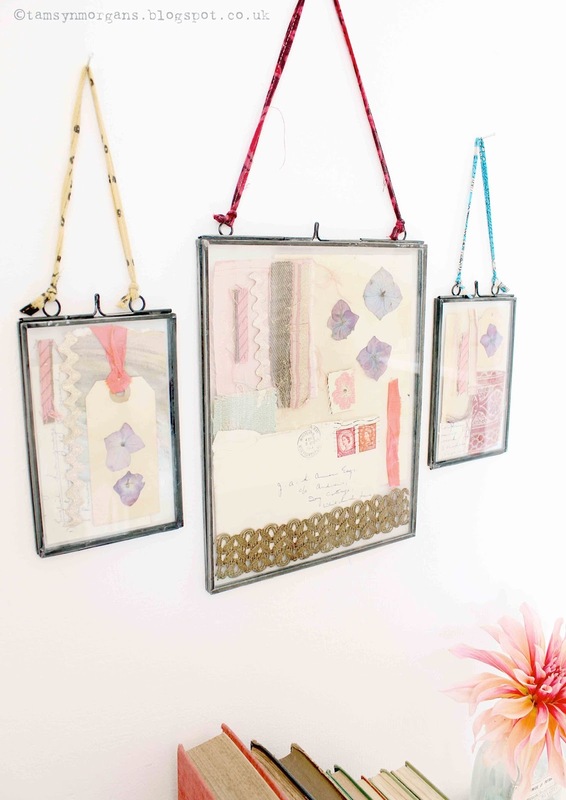 You can find the large zinc frames here and the smaller ones here, and they look lovely grouped together – a beautiful way of displaying treasured mementos. I love this style of frame. I have some really old postcards picturing our local village that I'd like to display and these would be perfect! I love how you've styled them, they make such a pretty display.